Get ready to say goodbye, people. 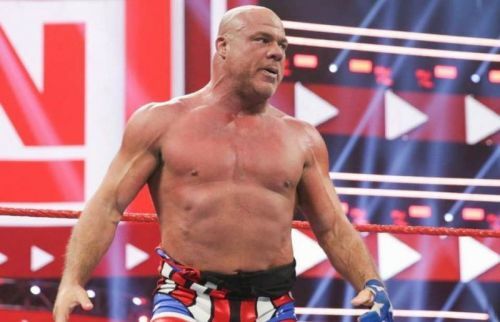 Kurt Angle appeared on the March 11 episode of RAW, that coincidentally was in his hometown of Pittsburgh. And, when he held the microphone in his hand, we all could predict what was about to come. The Olympic gold medalist announced his retirement after WrestleMania 35. He let everyone know that his match on the Show of Immortals will be his last. Angle even went on to have a short match in his hometown, defeating Apollo Crews with his trademark suplexes and an Angle slam. However, the match on April 7 would require a worthier opponent. And, we think it could be none other than WWE's 'Greatest of all time' John Cena. In this article, we present four cool reasons why the 16-time World Champion should retire the WWE Hall of Famer at WrestleMania 35. It may come across as a shock but WWE hasn't yet planned Samoa Joe's opponent for the grand show. All of us had our hopes skyrocket for a potential John Cena vs. Samoa Joe match at the Show of Shows. However, WWE could have Joe be involved in a rivalry with a full-time star, rather than Cena who wouldn't be available until WrestleMania week. The bottom line is that rumours of Samoa Joe vs. John Cena may have been false after all. Also, Cena's other rumored opponent Drew McIntyre looks set for a rivalry with Roman Reigns. And, Lars Sullivan vs. John Cena has no real chances of happening, and most probably The Undertaker will not compete at the grand show this year, at least not against Cena for sure. 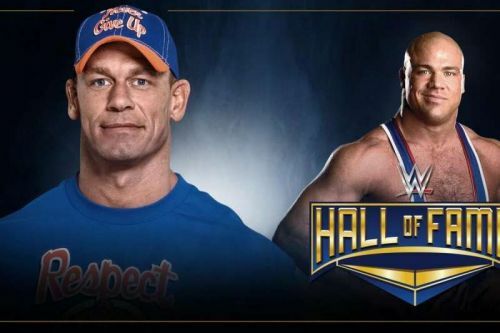 It makes sense for John Cena to show up and fight Kurt Angle. The reasons are pretty simple. First, that they already have a history between them for the match to make sense. Second, there's no buildup required for this match. It's one that'd be special whatever the two men do in the ring.